As we were on our way for lunch at Laksa King, we noticed a new Pho joint on Hastings nearby. By no coincidence, we traveled back to try the place out the very next day for dinner. The people there seemed pretty nice while the fresh decor was a nice relief from some other Pho joints that feature what seems to be decades-old dining rooms. However, what about the food? 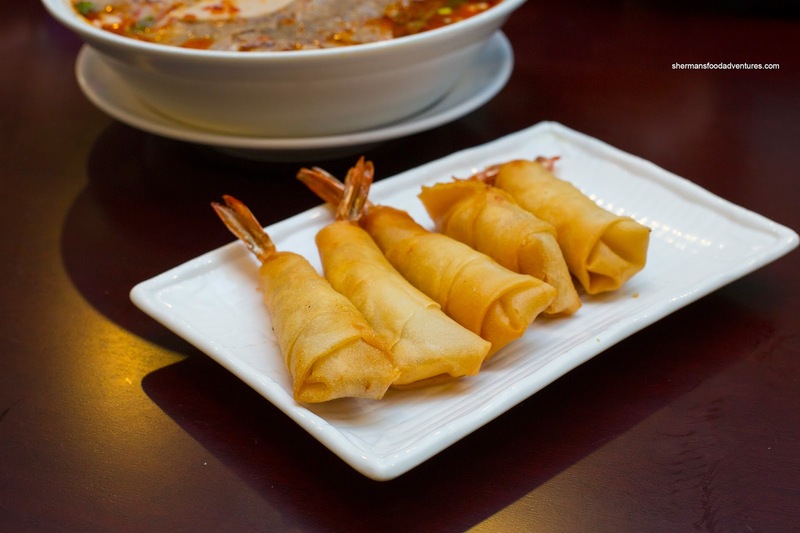 Even before I asked the question, I knew that my son would want the Fried Prawns wrapped in spring roll wrap. These were not bad with a really crunchy exterior giving way to shredded taro, pepper and a whole prawn (which was somewhat meaty and had a slight snap. As for his other favourite item, at a Vietnamese restaurant, is the Banh Mi Dac Biet (but without the peppers and pickled veggies). He ate it happily, but for me, I thought the bread was too dense and chewy (it was crusty on the outside though). There was an adequate amount of pate and meat which slightly offset the dense bun. For myself, I got the Bun Bo Hue and it was a pretty decent portion. I found the soup base to be relatively spicy but lacking in shrimp paste and depth. The meats were not bad while the pork knuckle was a treat. The noodles were a touch soft though. 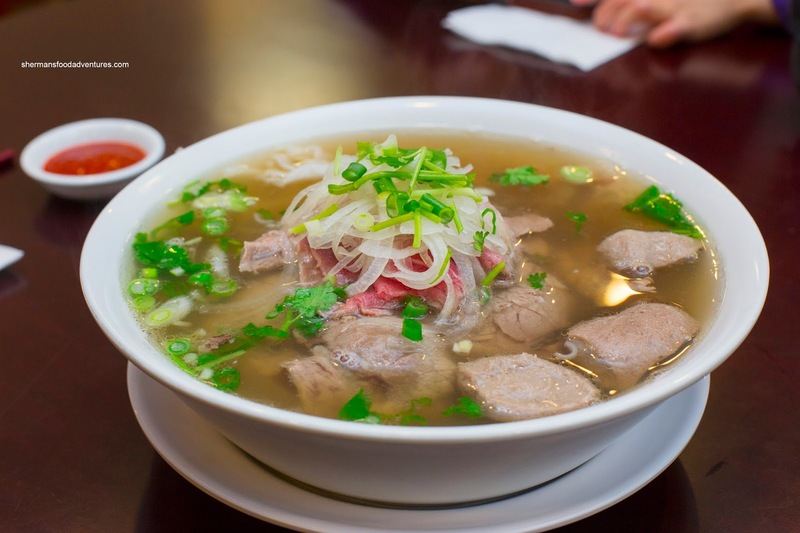 The next bowl that arrived was Viv's Pho Dac Biet. Again, the broth was lacking in depth but had a lot of MSG in it. 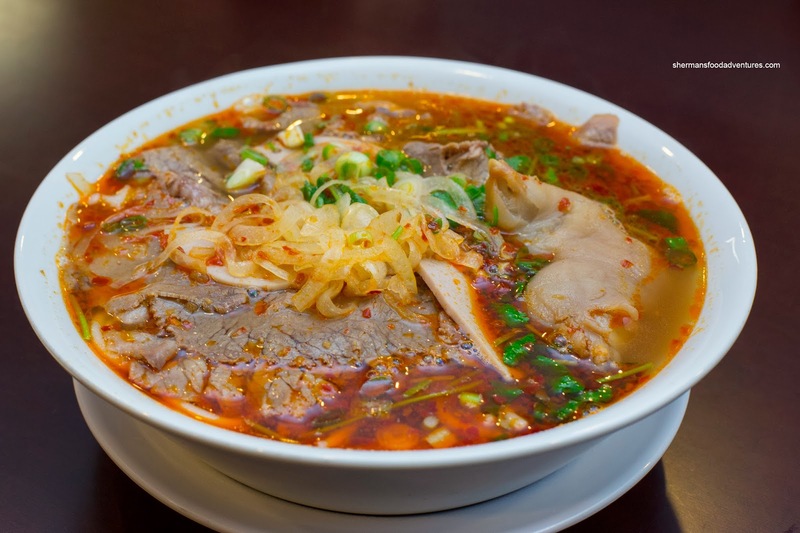 It was on the sweeter side where it exhibited very little natural meat flavour Like my bun bo hue, the meats were tender while the noodles this time were al dente. 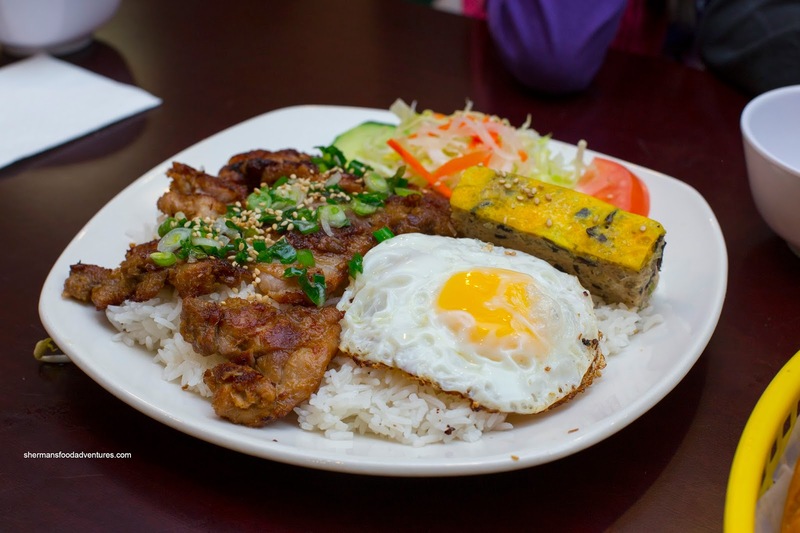 For our last dish, we had the Lemongrass Chicken, Pork Cake and Fried Egg on Rice. This was a decent amount of food, but unfortunately, the chicken was rather hard and dry. It did have a good hit of flavour though. As for the egg, it was cooked all the way through which wasn't defeated the purpose of a sunny side. 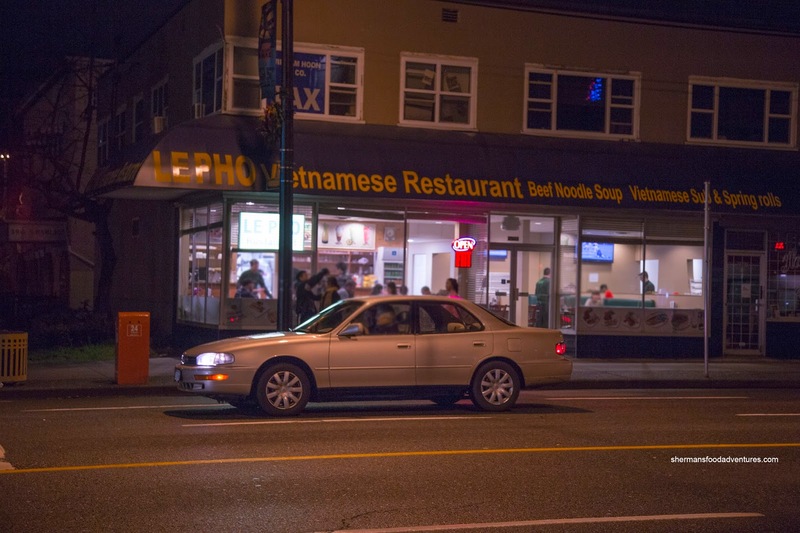 We felt the food as whole was okay, but with some many other choices around, Le Pho wouldn't be at the top of my list. 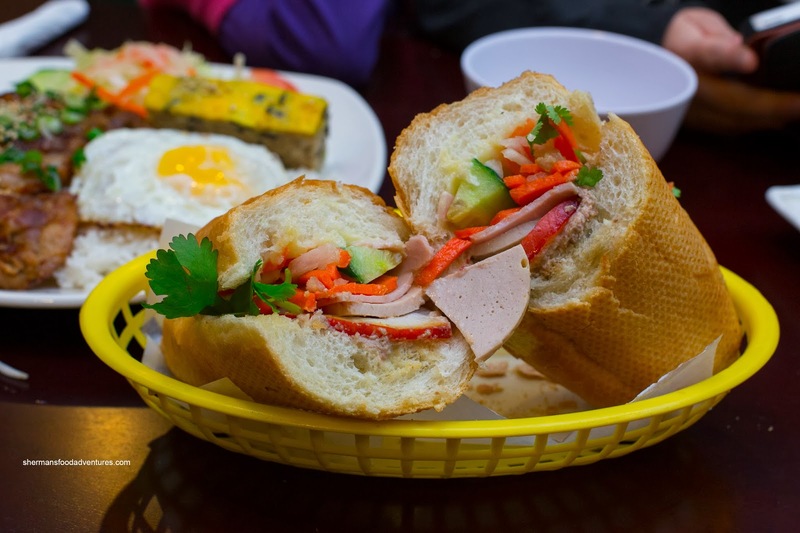 After several visits, I have found that the freshness of the bread and the amount of fillings that they put in their banh mis tends to vary a great deal. Often, just mediocre to average, occasionally the sandwiches can be very good.